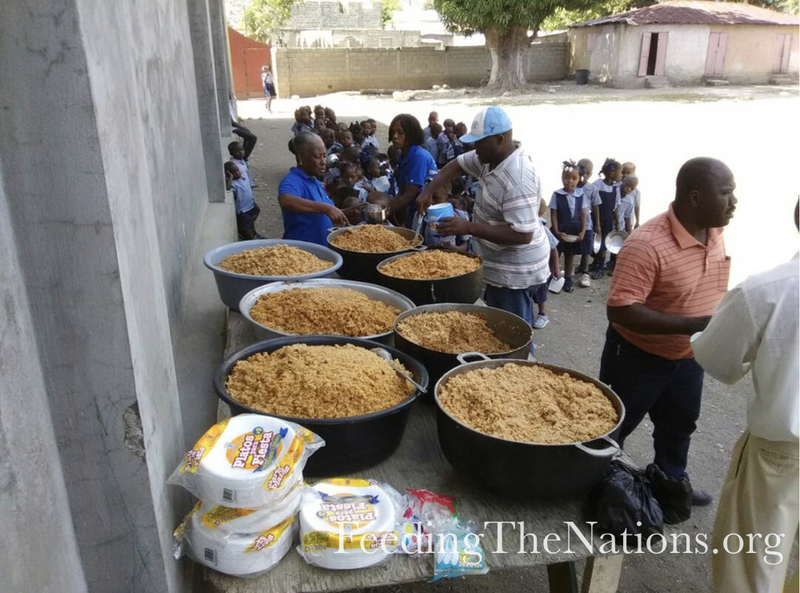 Hunger is ever present in Haiti. Seventy percent of the nation is estimated to be food insecure or undernourished. Food is available in the local markets, but the price is so high that people cannot afford to purchase the food. In other words, there is no shortage of food, but there is a lack of finances to purchase food. That’s why we are grateful to have partnered with Lifeline Christian Mission. 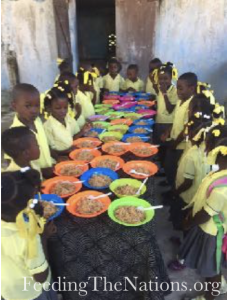 We recently sent enough food to provide meals for 20,000 people in Haiti, many of these are children in schools and orphanages. And we didn’t just send one meal per person. We sent supplies that will last them months at a time. 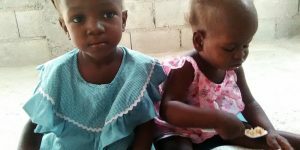 On behalf of the missions who receive the food and the many children they are feeding in Haiti, we say “thank you” and God bless you. 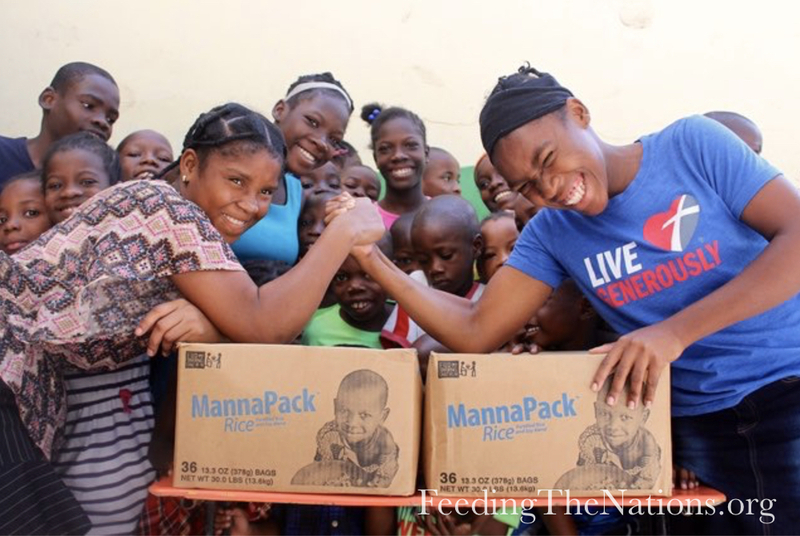 We did not find the right word to say thank you to Lifeline Christian Mission and their partners, especially to the generous donors of MannaPack Rice. You have done us good and the whole orphanage is filled with joy. The people were very grateful and appreciated the food so much. Thank you once again for sharing with NHCM… God bless you all. Thanks again. Together, we can do more. Will you help us bring more food and joy to those who need it most? 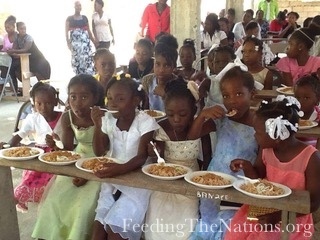 Since Feeding The Nations first began, we have been feeding children in Haiti on a regular basis. This is thanks to our long-standing relationship with our partners-on-the-ground, Fishers of Men Ministries International (FMM). Feeding the hungry is a group effort! It takes many hands to reach those in need. Partnerships such as this one have made it possible for us to impact the lives of thousands of children for eternity. 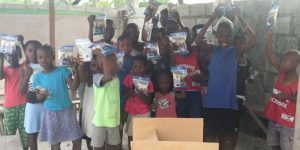 For more than a decade Fishers of Men Ministries has been distributing MannPack-Rice Soy Protein Packages throughout Haiti to 25 different schools with around 4,000 students. These schools are located in rural areas where living situations aren’t as fortunate. 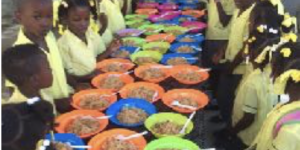 Thanks to the help of ReachNow International and Feeding the Nations, these meals have been an encouragement to the communities to help further the education of these students. Since the program began, we have followed up on their activities and have seen an improvement within the communities. Though we cannot solve every one of their problems, every contribution has helped! 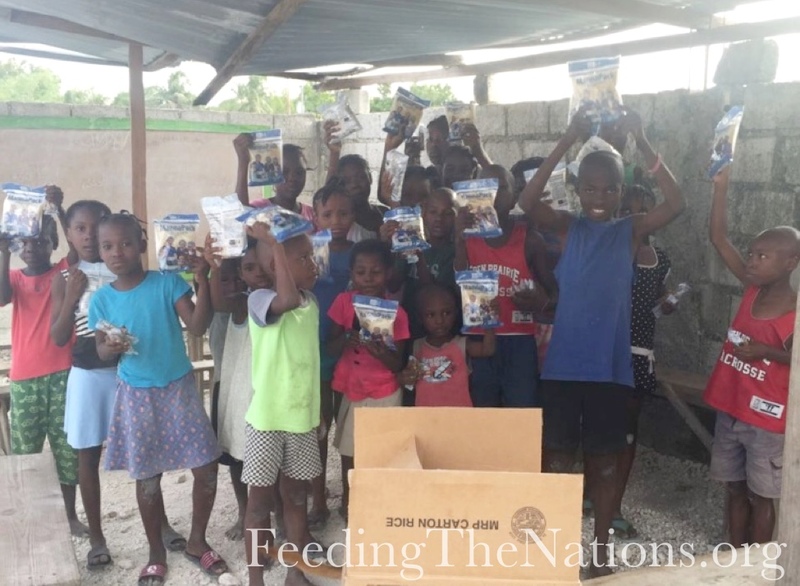 We are grateful for Feed My Staving Children and their partners for making this great nutritional package available to ministries like ours around the globe. Thank you for your kind support in the lives of these children! On behalf of the kids above and thousands like them, we say thanks with grateful hearts for our partners and people like you who make missions like these possible. Won’t you join with us to continue blessing the poor of this world? Simply click the button below. Because of people like you, this 102-year-old Christian woman in Haiti receives a box of food each month. 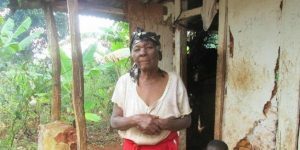 Larosa Pretil lives in a widows’ village in Haiti. 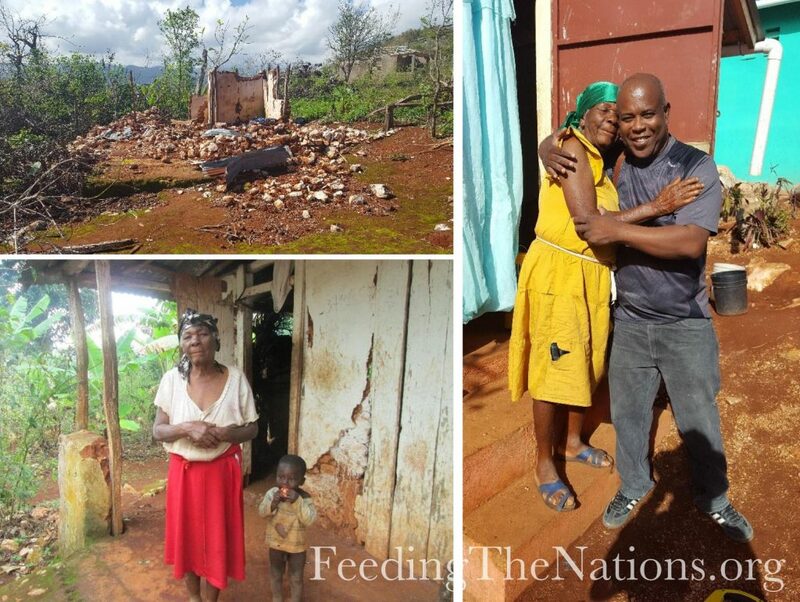 Our partners, Outreach Aid to the Americas, have been providing her with food since March. Despite the fact that she very much needed this food for her own survival, she shared it with her family. By the end of the month, she was out of food and walked four hours to her daughter’s house in the hopes that she would still have some food left to share. 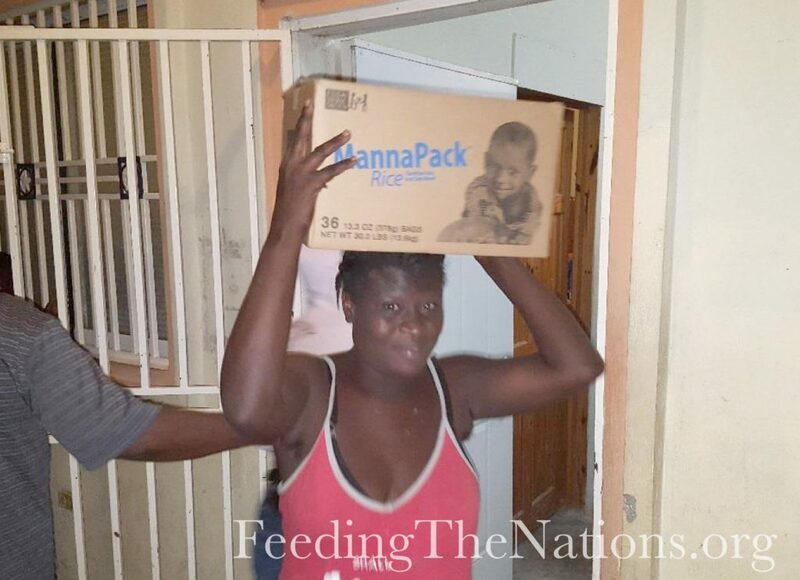 But thanks to this continuing outreach, she now receives a box of food each month. Larosa’s old home was destroyed by the hurricane (top-left picture). She would’ve died had she not moved into her new home (right picture) before the hurricane struck. Praise God for His provisions! But that’s not all we’ve done in Haiti. 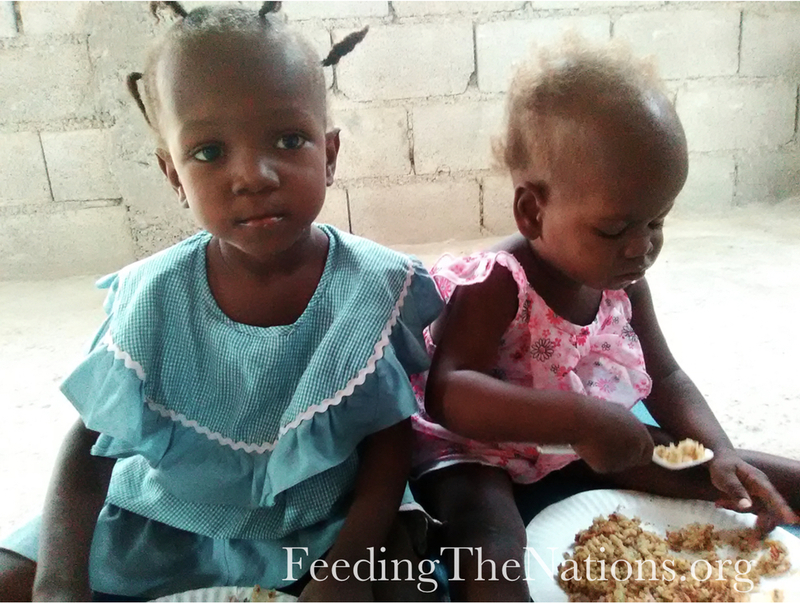 We are also feeding Haitian children thanks to our partnership with Fishers of Men Ministries. 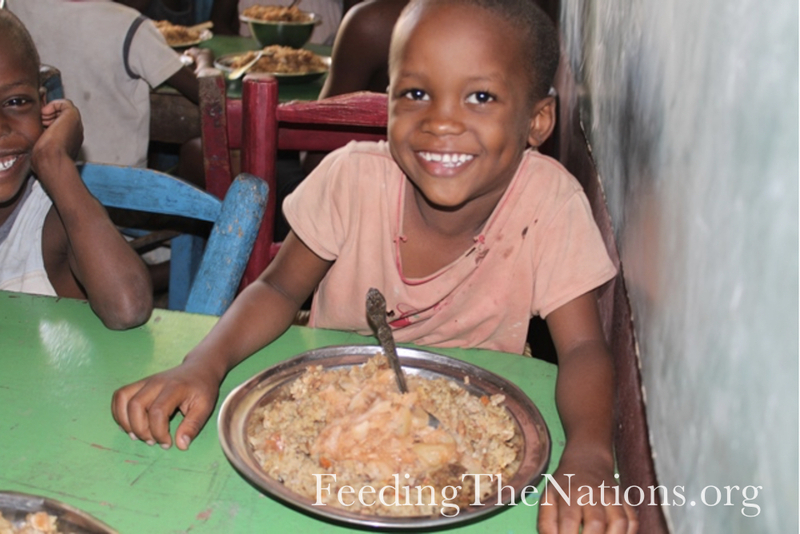 Through this feeding program, 4,000 students in 25 schools are being fed. 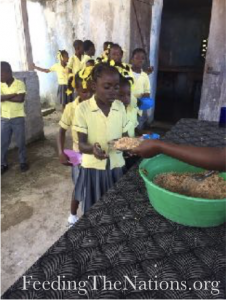 Haiti has an adequate amount of food resources, but because the nation is struck by poverty, there is a lack of employment and ability for families to provide healthy meals for their children. 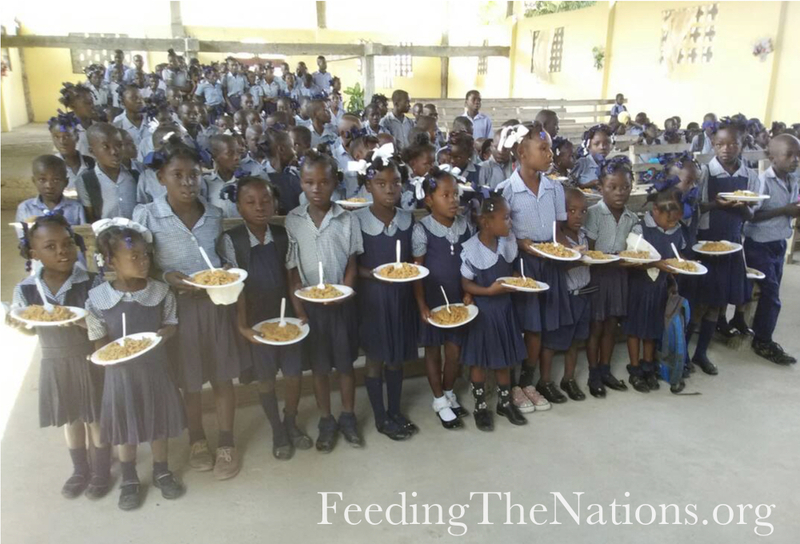 These school feeding programs help families feed their children and make it possible for students to continue their education. It is hard for any student to concentrate on their school work on a hungry stomach. Thank you to everyone who partnered with us to make missions like these possible. Will you join with us in feeding more people like Larosa? 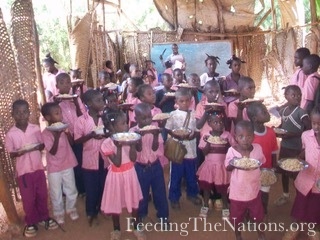 Will you make it possible for more children to attend school with their bellies satisfied? On Valentine’s Day, we sent a load of food to Haiti. And the love has arrived! One of the recipients of this Valentine’s shipment is a woman who takes care of five kids—one of whom is her daughter, while the other four were orphaned when her sister died a few years ago. This woman is always smiling and trying very hard to be a good mom to all the kids. Having this food means the world to her; she can feed all five of them, so they can grow strong and healthy. The whole family is grateful for the huge blessing. And they hope we will continue to help meet their needs. We want to continue helping people like this kind and generous woman who is caring for her sister’s children and her own, even in the midst of difficult and desperate living conditions. Our efforts to reach families like this one will continue. But we can’t do it alone. 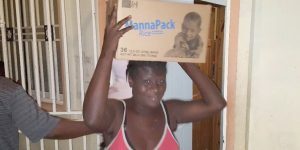 It takes partnerships with people like you to be able to send this nutrition and hope to those who need it most. Will you join with us? We help the children from Odeline’s Orphanage. We have helped Odeline and her children for a long time and the children are very thankful for our help. They live in difficult circumstances and don’t have much other means of support. 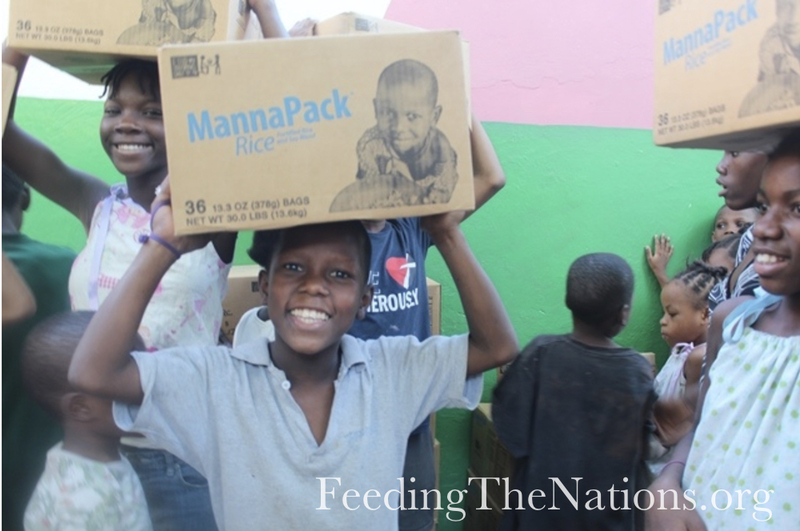 We come with our truck a few times a month and drop off Feed My Starving Children manna packs. They love the food! We sing songs with them and help them to memorize a bible verse. We also share other supplies as we can like clothing, toys, blankets and other household items. The structure in the picture is typical of buildings in Haiti. They construct these buildings with cinder blocks and a tin roof. This is where we meet with them and distribute the food. Although they have very little, as you can see on their faces they are thankful.